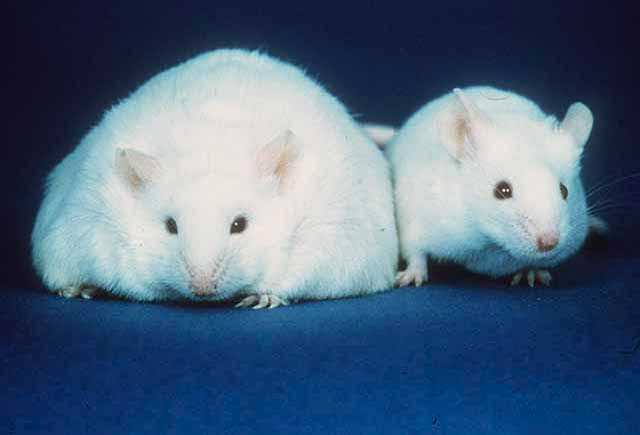 Leptin is a small molecule produced mostly by the adipose tissue, whose absence is the cause of morbid obesity in the genetically engineered ob/ob mice. Here is a paper that gives us another reason to love this hormone. Liu, Guo, & Lu (2015) build upon their previous work of investigating the leptin action(s) in the ventral tegmental area of the brain (VTA), a region that houses dopamine neurons and widely implicated in pleasure and drug addiction (among other things). They did a series of very straightforward experiments in which the either infused leptin directly into the mouse VTA or deleted the leptin receptors in this region (by using a virus in genetically engineered mice). Then they tested the mice on three different anxiety tests. The results: leptin decreases anxiety; absence of leptin receptors increases anxiety. Simple and to the point. And also makes sense, given that leptin receptors are mostly located on the VTA neurons that project to the central amygdala, a region involved in fear and anxiety (curiously, the authors cite the amygdala papers, but do not comment on the leptin-VTA-dopamine-amygdala connection). For the specialists, I would say that they are a little liberal with their VTA hit assessment (they are mostly targeting the posterior VTA) and their GFP (green fluorescent protein) is sparsely expressed. Posted on October 28, 2015 February 7, 2018 by NeuronicusPosted in 2015, Anxiety & Stress, Molecular Neuroscience, Pharmacology, RodentsTagged 2015, AAV, anxiety, leptin, obesity, ventral tegmental area (VTA).